Next Experience: 5-13 May 2019. When people think of the Caribbean, vacation getaway comes to mind. Cuba is a popular tourist destination, with its warm climate and beautiful sandy beaches. Tourism has been very important for the economics of Cuba, but has also resulted in habitat destruction, and hotel development. Many animals are affected by this loss of habitat, including several species of bats. Our partner organization in Cuba focuses its scientific work on bat conservation and needs your help. In Cuba there are approximately 30 000 caves, and 26 species of living bats. Our partner is involved in several scientific studies of the bats to better understand their numbers, distribution, behaviour and biology and how the bat populations are affected by habitat loss, drought, disease and other stressors. Twice a year volunteers are needed to help conduct population surveys of the bats. Field research is carried out primarily in the city of Matanzas but also at the caves in Varadero. Varahicacos is the protected ecological reserve open for ecotourism on Varadero. The few caves here are home to the six species of bats of Varadero. As part of the study, bats are captured in nets, examined, tagged and measured before being released. Working on an ecological reserve also provides the opportunity to educate the public about bats, and wildlife conservation. This week long Experience will be a hands-on introduction to field research. This means you will be collecting data in the bat's environment: un-air conditioned caves and forests. You will learn proper handling and identification techniques and have the opportunity to set up equipment in the field that is commonly used to capture bats. You will also work in caves not accessible to the public which will give you the opportunity to see other species, and compare undisturbed bat populations to those located in Varadero. Enjoy Cuba's beautiful climate, friendly people and spectacular wildlife while helping with bat conservation work and learning important field research skills. Volunteers checking the biometrics of a bat. Day one of the expedition begins with a welcome presentation on the goals of the project and information about the bats of Cuba. Participants will learn how to set up the mist nets, safely handle and identify the bats and record the required information. This is your opportunity to meet the group leaders and other volunteers and become comfortable with the work you will be doing. On the following six days, participants will travel to different caves in the Matanzas or Varadero area. Participants will assist in hand-netting or harp trapping bats for species identification. Measurements will be taken and recorded and other observations made. Most visits to the caves will be during the day so bats can be captured while roosting. At least one cave visit will be at night when mist-nets may be used to capture larger numbers of bats. Participants will not be required to venture very far into the caves, but activities do involve hiking over rough terrain at times and temperatures can be quite high. This expedition does require a good level of mobility and physical fitness. You will be staying in a hostel owned and managed by a local Cuban family. Accommodation is simple but clean and includes all your meals. Rooms are double occupancy, shared with another volunteer of the same gender. Lunches, and some dinners, will be provided while at the field research sites. AEI believes that local accommodation offers you the best experience during your time in Cuba, providing you with an easy way to integrate into Cuban culture. Do you have questions about safety? We have answers right here! Airport pick up and drop off (at the closest airport), accommodation, meals, on-site training, donation to Placement Partner, AEI Travel Manual, any extras from placement, emergency support while at placement, carbon credits to offset 3 tonnes of greenhouse gas emissions, premium Individual Travel Insurance (up to $500, 000 USD in emergency medical coverage), travel discounts (through automatic membership to a volunteer only travel discount program), 24/7 travel and emergency assistance, enrolment with the Global Travel Academy to earn a certificate in International Volunteering. This 3-hour online course is curated by travel professionals and is designed to help you get the most out of your adventure. Flights, entry visa costs, international and domestic airport taxes, immunizations and medications. Note: The rabies vaccine is required for this Experience. Please note that the average cost of pre-exposure rabies vaccination is $600- $1000 in North America. Bats play a critical role in the world economy and in the health our ecosystems. Bats consume vast numbers of insects, including some of the most damaging agricultural pests. The "Butterfly" bat in Cuba (Nyctiellus lepidus) can catch approximately 1200 mosquitoes in one hour. That means that a colony of 1000 Butterfly bats can hunt over 1 million mosquitoes in a single night! Mosquitos are not only annoying pests; they transmit human diseases such as Malaria, Chikungunya, and Zika virus. Other bats are responsible for the pollination of many valuable plants, while fruit eating bats help with seed dispersal. Unfortunately bat populations in Cuba, and around the world, are facing pressure from many sources. These include loss of habitat and roost sites, increased use of pesticides in agriculture that kill the insects bats eat, disease, wind farms and human prejudices towards bats. Our partner is addressing these issues head on. Their organization focuses on studying the bats, implementing conservation actions, and teaching the importance of protecting bats to schools, tourists and the general public. They even run annual Bat Festivals to get the general public motivated and involved in bat conservation. When you participate in this expedition, you will gain hands-on experience working in the field with bat biologists. You will be exposed to the ins and outs of field research and conservation efforts and you will become more comfortable working around bats and handling them. Understanding and appreciating bats is an essential first step to ensuring their conservation. 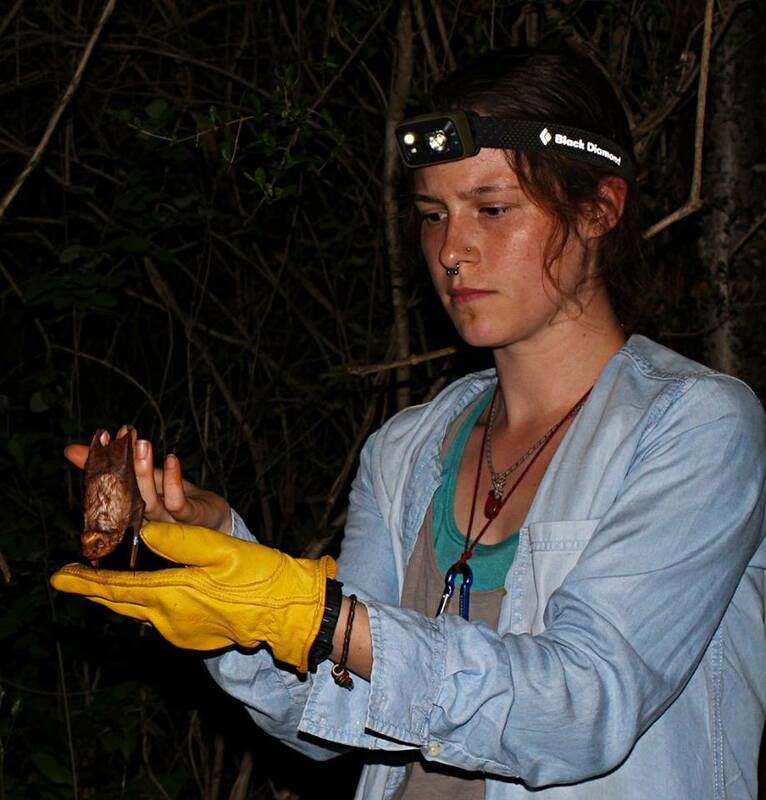 What better place to work with bat conservation than on a tropical Caribbean island? Enjoy the warm weather, sunshine and palm trees while volunteering with an amazing group of people. We guarantee that this expedition will not be your typical tourist holiday to Cuba. By working with this local organization, you will be able to visit places that are only accessible by special permit. You will stay within the community at a family-run hostel and experience authentic Cuba. Cuba is a beautiful country with much character and history. You will have the opportunity to see the region as you visit many caves in the Matanzas and Varadero area. You will also have down time to relax, explore and enjoy. Want to practice your Spanish? Enjoy a mojito? Meet people as batty as you? Join this group of passionate volunteers as they help to ensure a bright future for bats in Cuba. This week-long expedition runs two times a year. Space is limited to 20 volunteers per expedition so be sure to apply well in advance. Please note: If you are an American citizen please contact AEI to discuss the possibility of participating in this Experience. Are you thinking of fundraising for a portion, or all your fees? Many of our clients have been very successful with their fundraising efforts. To learn more about their successful fundraising projects and see how you can fund raise for your experience, please visit our fundraising page! I got to handle TONS of bats and eventually got very comfortable doing it.